ENDOR™ Rosacea Cream contains the precursors to an active compound, produced by immune cells. This compound naturally signals activated immune response to return to normal levels. ENDOR Rosacea cream contains Vitamin C, Vitamin E and Coenzyme Q 10 to provide antioxidant protection for the skin, to assist in reducing skin redness. 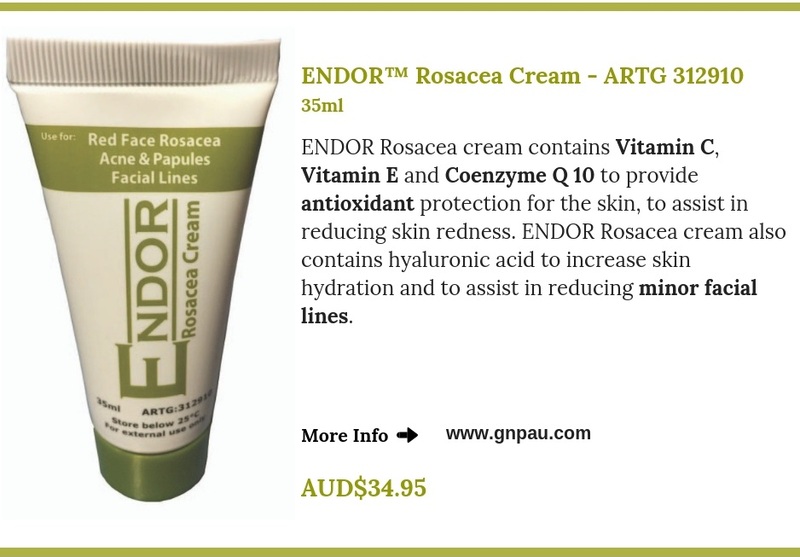 ENDOR Rosacea cream also contains hyaluronic acid to increase skin hydration and to assist in reducing minor facial lines. In our blog you can find the list of FAQ about ENDOR™ Rosacea Cream. Please click here to read it.